When time finally runs out for the human race, what will we be left with? We face increasing uncertainty about the future, the dwindling availability of resources, the extinction of species, the greed and consumption which plunders our planet with no thought given to sustainability or longevity, apocalyptic visions of the end and daily feelings of heightened anxiousness in the face of fading hopes and shattered dreams. We are Left With A Song, the second album from Finnish duo Juha Sirkkiä and Erno Räsänen, is born within and forged against the tumultuous backdrop of all the conflicting forces, needs and demands which shape the struggle to be human in the 21st century. As a result it captures and perfectly frames the essential temperament, the saturating ambience and the conflicted character of the perpetual and ferocious noise against which life happens on a daily basis. Yet the seeds for this release hark back to their first album, These Stones Cry From the Earth (2011). The attempt to capture and somehow crystallise the spirit and atmosphere of the time forced an unexpected consequence on the way in which the music and the album itself came to be written. As the music started to come together and evolve, the realisation dawned that the only appropriate way to capture what they were after was to abandon the traditional multiple track format and opt instead for a single continuous track, lasting some 57 minutes. The experience of writing and recording the album as an almost simultaneous exercise quite brilliantly informs and underpins this new release. Although the multi track format has been restored, what We Are Left With A Song so astutely illustrates is the fundamentally organic relationship which lies at the heart of musical expression and the contexts within which those processes happen. The music is scintillating, intense, sparkling with energy and bursting with enthusiasm. 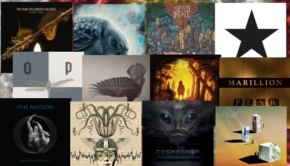 The chaotic and noisy dissonance so characteristic of our age finds ample voice in the distorted, menacing and at times overwhelming guitar layers which emerge within and gradually come to dominate and overlay the soundscapes. The vocals themselves are deliberately submerged within the mix, at times barely audible, struggling to be heard. Above it all, however, rise the clarion call of some exquisite orchestral arrangements, a unifying and beautiful voice gradually assuming dominance with and balance over the other instruments. It speaks of the need for courage, for resolve, for an attitude of spirited defiance and determination in going about our daily business. Into this cauldron are also thrown elements from classical music, jazz, blues, rock and even the occasional nod to metal. Life is lived in many ways, on many levels and across differing moods and emotions and the tracks are insightful and discerning in the way these influences blend and change in emphasis as the record proceeds. There are moments which catch you unawares; the call of birds, the crying of a baby. Clean, clear and subdued drumming finds contrast with a soulful, meandering saxophone, nuanced keyboards offset with acoustic guitars capture a fleeting moment of rare reflection before the force and sheer vitality of life exert themselves and intrude once more. At times the album is a fascinating and hypnotic blur which simultaneously impresses, surprises and overpowers; at others it is almost demur, subdued, using the change of pace to signal quieter moments filled with hope, beauty and peace. What makes this album shine so very brightly is the way it manages to keep all the competing and contrasting elements in balance, how that balance feeds an exciting organic vision of what the world feels like and how in turn the multiple layers and forms of expression necessarily come together and work with each other to forge a dynamic and sustainable musical experience which always brings new things to the fore before allowing them to sink back and allowing something else to take its place. 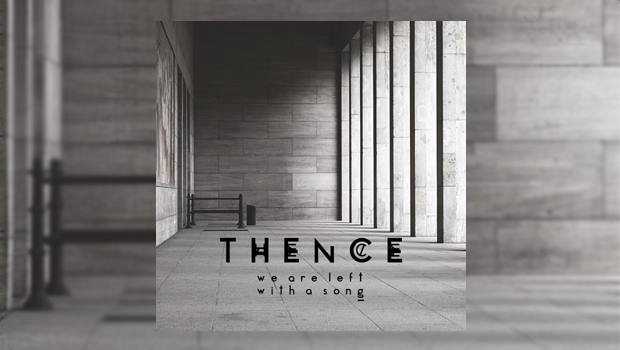 Thence have created a compelling album which is certainly impressive both in terms of the commentary it presents on the spirit of our age as well as the irresistible and immersive musical experience it offers. It is not always a comfortable listen but without doubt it will certainly embrace you, immerse you and come the end, leave you breathlessly excited from the journey on which it has taken you.